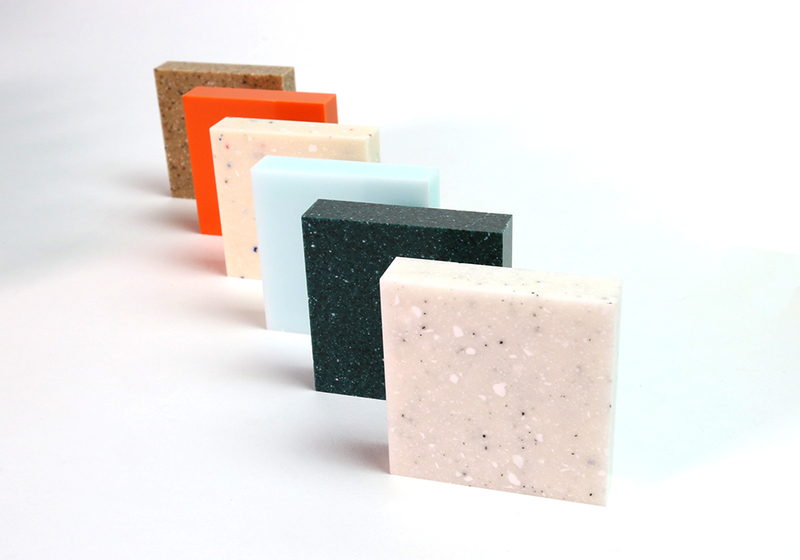 Being perfectly non-porous (therefore absolute water and moisture resistant), resistant to chemicals and flame retardant – you can see why it is the perfect material for kitchen worktops. The material is easy to clean and food stains will not have an effect on it, hot pots and pans won’t crack Kerrock and bacteria is eradicated as soon as it touches the surface. Kerrock®+ fully complies with requirements for clean spaces, especially for the health sector, medical and pharmaceutical industries. Not only does it continuously destroy the function and multiplication of bacteria, it is also perfectly harmless to humans and the environment. Although Kerrock® have a fantastic range of 92 standard colours, we are happy to work with you to develop any colours to match your specific requirements. We also supply complimentary products as adhesive, glue guns and nozzles to use with Kerrock®, allowing you to perfectly seal the edges in the same colour. Complimentary products – adhesives etc.